The special taste of grilled lobster with butter is the perfect way to start your Skopelos holidays. International trends tend to mix different ingredients to this delicious dish in order to produce a new exciting taste. Yet, as we all know, simplicity is the king of Skopelos cuisine, since the fresh lobsters fished here do not need much to taste delicious –just the chef’s expertise. 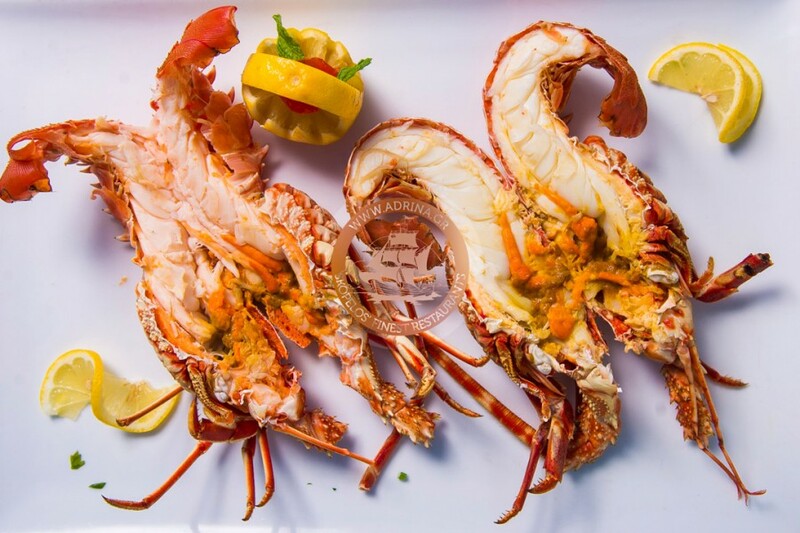 Apart from extra delicious, lobster is super healthy too since it is an excellent source of zinc, copper, selenium, phosphorus and vitamin B12, thus it can be enjoyed daily, without consequences to your waistline. Read below how we cook grilled lobster with butter and start your Skopelos holidays with an extra special gourmet experience! First we preheat the grill (medium-high heat). In a bowl we blend butter, black pepper and a bit of garlic. Then we butterfly the lobster tails straight down the middle of the shell and cut the meat down the center, inserting a metal skewer down the lobster tail. We brush the tails with olive oil and season with salt before grilling the lobster over medium heat for about 5 minutes. When the shell turns bright orange, we turn it over and brush it with butter, before grilling for another 4-5 minutes. Next, we place the lobster on the plate and serve with extra butter and a few slices of lemon. Taste grilled lobster with butter today. It will be another delicious surprise during your Skopelos holidays.